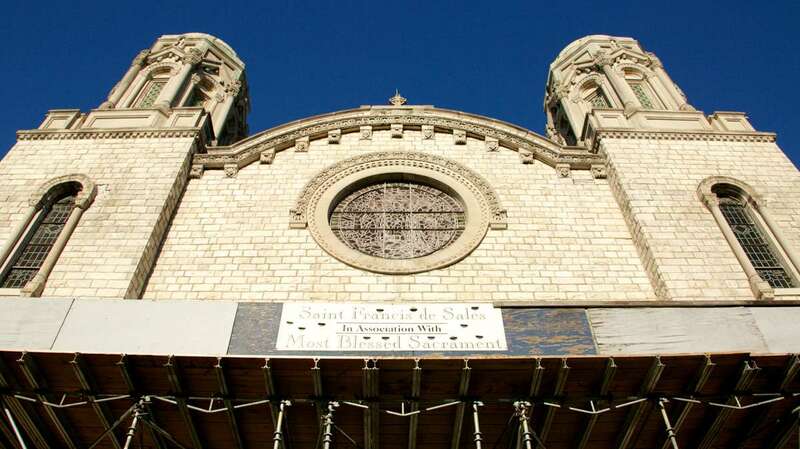 After eight years, the scaffolding that has covered the altar of St. Francis de Sales church in West Philadelphia has finally come down. 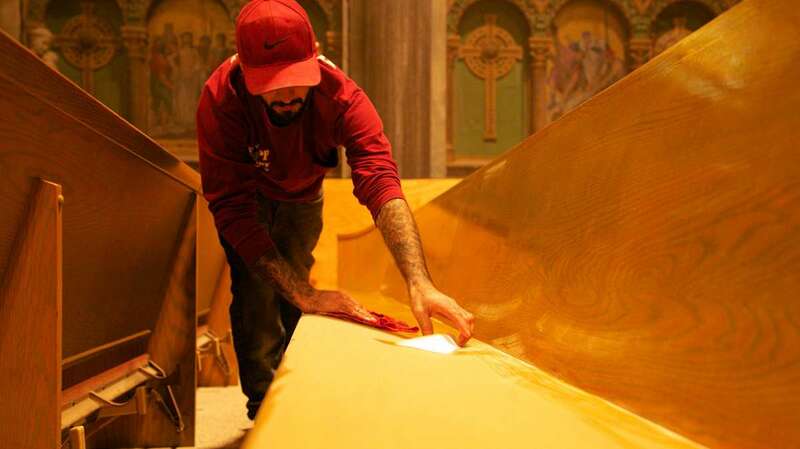 From the choir loft of the Byzantine revival church, Annabelle Radcliffe-Trenner surveyed the entire length of the church to the newly revealed marble steps and altar. 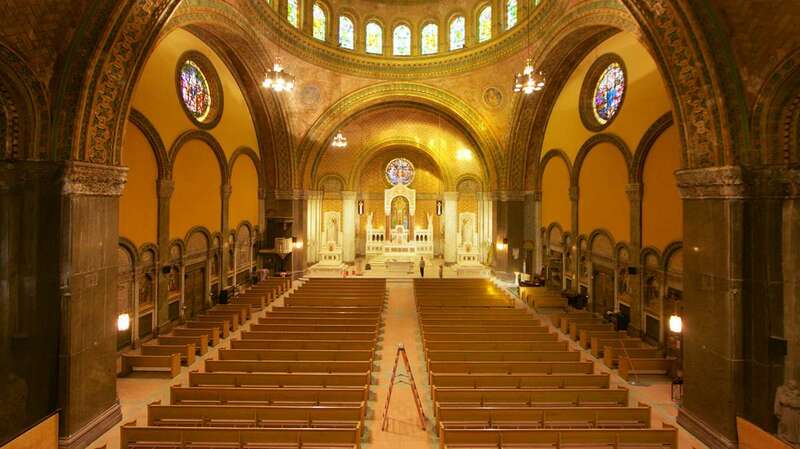 The church was constructed in 1907 with its distinctive domed roof designed by Spanish architect Rafael Guastavino. 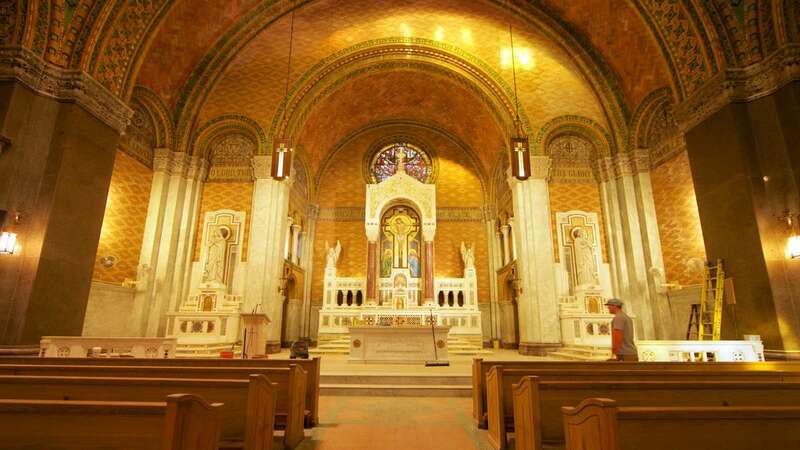 When Radcliffe-Trenner — an architect who specializes in preservation — began, she was able to pull bricks out of the walls above the altar. The scaffolding has been up longer than the Rev. John Hand has been with the parish. Radcliffe-Trenner ribs him that he’s been in rthe church every morning making after Mass making sure they’re moving it along. 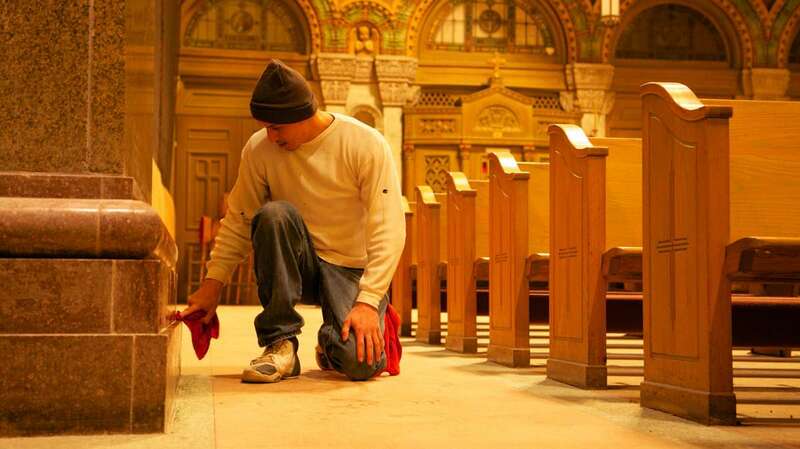 There are some signs the 15-year renovation of the church is still under way. Netting remains in the two back corners — looking behind it, you can see pieces of marble and rock that have come down from the walls. And scaffolding stretches up outside the building. 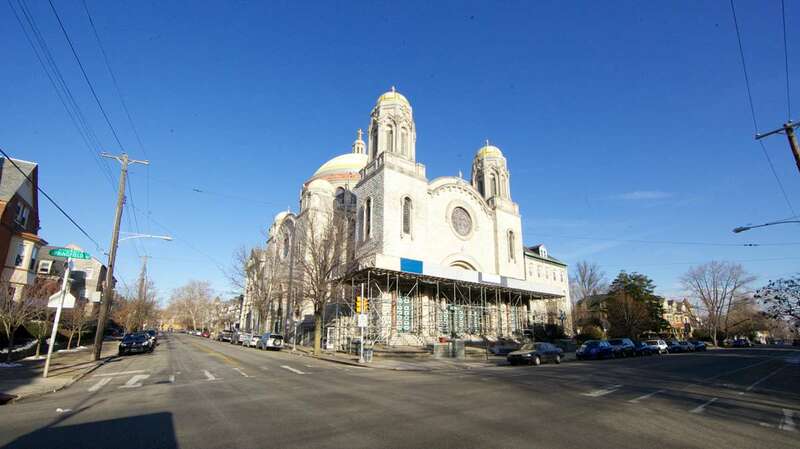 But the most noticable eyesore — the scaffolding and netting that filled the front of the church were all pulled apart this week and carted away. The sanctuary was set for an official unveiling at services on Saturday. Hand had high hopes a warm reception from the congregation. He says the church has hosted perhaps one wedding in the last five years. “Hopefully this will open up and give us a sacrament that has not been celebrated here in the parish in a few years,” he said.